Breathing has been part of our daily life as it is the basic point that makes each of us alive. But have you heard of healing yourself through breathing? 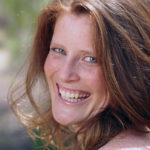 Eliza Rose Kane walks us through the experience of connecting to your energy and healing yourself through breathwork. She illuminates us on some breathing techniques we could use to maintain focus, relax, discover and be intimate with ourselves which will surely change how we see, experience, and breathe life. I am so excited because I have an excellent guest. Her name is Eliza Rose Kane and her website is ElizaRoseKane.com. You’ll find out more information there and of course, we’re going to have a great conversation. I came across Eliza because we were having breakfast in a restaurant in Aspen, Colorado. There was a flyer up on the wall about breathwork and what it does for parasympathetic tone. I love autonomics, I love parasympathetic tone. It’s so important for cardiovascular health and wellness. She was doing a seminar at a local venue in Aspen and I couldn’t make it to that seminar but I’m like, “I’m going to contact her out of the blue and connect with her.” Experience the breathwork that she does, which we did and we’ll talk about that. Eliza, what’s happening? Tell me a little bit of your backstory and then how you got into breathwork? It started a little bit over ten years ago. I had a Bachelor’s of Science in Nutrition and I have always been very interested in science. When I was reading all these books about quantum physics and quantum mechanics, the words were resonating with me, but I didn’t really have a visceral understanding of it. I was like, “How do these words correlate to day-to-day life?” I moved out to LA around that time and I got introduced to this breathwork practice. As I was breathing and I was doing the meditation, I started to connect to my energy. I started to feel myself vibrating. I also started to feel where my energy was feeling a little bit stuck and caught and not became fascinating to me where I understood how. I was making them the translation of all these words. I was reading and what does it mean to work with your energy? What does it mean to work with a breath or to heal yourself? How can you heal your own life? This then became more of a tangible reality. I began studying how the breath can connect us to the body and show us what’s going on there and help us heal anything that’s causing us trouble. When we talk about breathwork, what does that mean? How does that even come to be as breathwork? Why do we even need the idea of breathing? It’s interesting even how you said to people, if you’re not breathing, take a deep breath. We have gotten caught in a society that is so quickly moving that oftentimes we are very shallow breathing. The breath is staying up in our chest and we’re not getting enough breath. Our bodies aren’t oxygenated enough. Working with the breath is bringing focus to the breathing. It’s like a meditation practice but instead of just sitting there, you’re actually focused on a breathing pattern. That pattern supports you in bringing more oxygen into the body, but it also supports you in reaching that meditative state, where we hear about all these incredible benefits. A lot of people have trouble sitting down. They’re going 180 miles an hour and then they want to meditate but when they sit, they get bombarded with all these thoughts. They get very discouraged with the meditation process. Breathwork gives you something to focus on. Not only are you receiving the benefits of the oxygen, but you’re also satiating that part of your mind that has trouble slowing down. By satiating, it then relaxes and it gives you a break and it connects you into that deeper meditative state. What’s the difference between meditation and breathwork? Is breathwork maybe part of meditation? Meditation is global type of thing and maybe breathwork is under that. Where does that all fit in? Actually in the limbs of yoga, breathwork is right before sitting meditation. Asana which is the movement of yoga, where you go through the different yoga poses. I believe it’s the seventh limb but it is right before and then breathwork is next. Breathwork is designed to help train your mind and your nervous system to relax so that you can then sit in sitting meditation. By skipping that step we get there, our nervous systems and our minds, they’re just not prepared to sit and receive. Let’s dive right in. Tell me the breathing technique that you recommend? The breathing technique that I do is an open mouth breathing technique. It’s a two-part inhale, one-part exhale. The first inhale goes into the lower belly and the second inhale goes into the upper chest. I would inhale lower belly, inhale upper chest and then exhale it. Nice and easy like that. When you came over and you did the demo with my two boys and I, we had a fantastic time. My boys were total troopers. 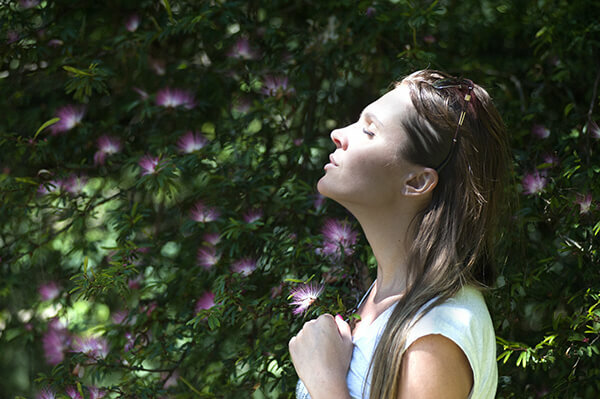 Power Of Breathwork: Breathwork, unlike meditation practice, is not just about sitting in one place but actually focusing on a breathing pattern. I was so impressed. I’ve never seen kids that age be able to maintain the focus, the attention and stay in that space for that long. They were awesome. The three of us are in there and we’re laying down, we’re on our mats. You were playing music for us, do we need to have music with us? How does that help? You don’t need to have music. Some people can breathe and the breath is going to be enough. I used the music because like exercise when you’re trying to get into a groove and you want to get into that rhythm, music is supportive. It’s also another tool that helps our mind relax. There are many reasons to do it but letting ourselves feel and letting any emotions that have gotten caught in the body, letting those move, those are important. Music is a great way for us to tap into that emotional connection, support us in feeling what we might not necessarily want to feel on our own. Why breathe in and out of the mouth? There are obviously different breathing techniques. I’ve been told in the past, it’s breathing in through the nose and out through the mouth or do everything through the nose. Is this your technique or it came from somebody else? Honestly, I want to know why the mouth? I was taught by David Elliott. There are several reasons why through the mouth, and one of them is that our mind is comfortable breathing through the nose. When we are breathing through the nose, the mind is able to stay engaged because that’s what it’s used to doing. When you breathe through the mouth, that actually throws the mind off a little bit, which is great because we at this point want to do anything that’s going to throw the mind off so it can get a break. The other element is that through the open mouth you’re able to pull in a higher level of oxygen. You’re by no means hyperventilating, you experienced it. This isn’t close to hyperventilating, this is a very gentle technique. It’s not forceful. That extra level of oxygen is going to be supportive of our bodies in so many ways. It’s going to work with the endocrine system, it’s going to help alkalize the body and especially living at high altitude our bodies are starved of oxygen. They need it and the open mouth allows us for a higher level of it to come in. Is it as easy as setting aside the time for anybody and everybody? We don’t need medical clearance necessarily. We’re not diagnosing, treating or curing any diseases or anything like that. Do we jump right into this and if we jump in, are we starting off at five minutes? Are we starting off at 30 minutes? What do you think? It’s as little as seven minutes that you’ll start to notice the nervous system will begin to relax. When you talk about affecting the parasympathetic nervous system, this is what you’re going to want to get at least seven minutes and then you’re going to start to see results. I find consistency is better than worrying about, “I’ve got to do it for 45 minutes.” To start, I always say to people, “If you got as little as seven minutes, that’s awesome and you can build it up to 14, 21, whatever feels good. You have one day that you can breathe a little bit longer. That’s awesome.” Once you know the technique, you can dive in on your own. It’s very risk-free. The thing I always say to people is they’re in control. This is a tool for people to start to connect more deeply into their body and become aware of what’s going on with themselves. This is where they’re in the seat where they can trust themselves and if the breathing is becoming too intense and they feel uncomfortable, they can slow it down. They can stop. I find that how people show up for the breath is a great indicator of what’s happening in their life. Some people will feel like they have to do a lot and it’s got to be intense, which is how they feel on life, whereas you don’t necessarily need to be intense to get the results. We were doing this in the morning. We started at 10:00, 10:30 but this is better as an evening technique. I’m thinking about this as something where you get into bed and you turn off the lights. This is your time when you are getting ready for sleep. This seems like a perfect activity to crank up that parasympathetic tone. You can unplug, relax and this is so beneficial for people with sleep issues. It’s incredibly beneficial. It’s a very clearing and cleansing practice. When you are doing it before bed, it’s almost like you’re letting go of all the frenetic static energy that you’ve picked up, all the chaos of the day. This is a way to ease it from your nervous system so that you can prepare yourself a good night’s sleep. I also use it as a siesta almost because I find I’ll have powerful mornings. I’ll get so many things going and I’m so much engaged that I’ll almost short circuit my nervous system unless I take a break and I let myself relax and reset. I’ll do it sometimes at like two or three. I’ll lay down and I’ll breathe, and it helps manage my energy so that I stay more even paced throughout the day instead of spiking in midafternoon and then crashing. It helps me prevent the crashes. I could definitely see that. As far as from a medical standpoint, I’m the cardiologist, I’ll make the medical claims and I’ll deal with the consequences. I see this as so important for anybody with blood pressure issues. Anybody with circulation issues, anybody with any health condition, irregular heartbeat, atrial fibrillation, fast heart rates, everybody in that sympathetic overdrive and it’s so nasty. It’s so dangerous, it’s so detrimental, blood sugar, cortisol, you name it. Wouldn’t you agree with me? I completely agree. There might be other voluntary ways that you can work with the involuntary nervous system, so it makes sense. Why wouldn’t you use something that you have access to that’s free too and it’s available whenever you need it? Power Of Breathwork: How people show up for the breath is a great indicator of what’s happening in their life. There are other parasympathetic maneuvers if you will. You can rub on your eyeball, you can chew gum, you can rub on your abdomen and get massaged. The most natural thing of course comes from breathing and people forget about it. They forget about breathing. What about clothing? I’m thinking about how restrictive clothing is. The men in their work belts and the women are all wearing tight outfits trying to constrict their whole body inside this tiny outfit. What does clothing do detrimental to our breathing? It’s anything. If you’re in anything that’s constricting, your natural inclination is going to be to constrict the breath. It’s going to limit your breathing and same with life. When you’re in that constant constricted state where the world is so fast paced, our nervous systems naturally contract. We’re going to be breathing shallower. This is so important and I love this for my eleven-year-old. I’m glad my six-year-old got to experience it. When do you think the best time to plug your kids in? Is it probably like their maturity level, what you think they can handle? I find with kids it’s when they show interest, when they want to do it and that as parents the best way is to lead by example. By you doing your own practice that’s going to influence your kid more so than anything you say. Kids are so naturally tapped in as it is. I often with the younger kids will too, if they’re having stress. It’s getting them to do that deep belly breath. The younger kids will have trouble with the two-part. It’s nothing to rush or force with them at all. This seems like a very good technique for children that pretty much all of them are in this sympathetic overdrive. We’re putting so much stress on our children these days. Most children are fed food, which is unnatural, synthetic and will of course drive that sympathetic response, the television, the exposure to blue light, exposure to environmental chemicals. It seems like this may be the most important thing for young children is to get them unplugged and really getting in tune. The earlier they have it, the better and that’s the role as guardians, as parents is to give children tools to deal with the world. This is a very powerful tool that if they can get into that rhythm and that are comfortable with it, it’s a great tool that they can have, especially when they become teenagers. Once they know the technique, they don’t have to tell you that they’re doing it. When they know and they can receive the benefits of it, they might be going through something stressful and they don’t want to talk about it. They can go and breathe in their room and that’s really important for our teams to have that ability and resource. I’ve often recommended to people to do yoga over the years. Yoga is a phenomenal activity for a variety of reasons and it’s not that I even think that. It’s in the medical literature of all the different benefits. Some people don’t do yoga because there may be some religious connotations to yoga. Are there any issues at all with what we’re talking about, what breathing is? Is there anything that we’re doing that makes this say more of a secular type of activity? Not really from this approach. I do look at it very scientifically. It’s a fascinating way for us to discover what is this vessel that we’re operating and to learn about it in a more intimate fashion. I know you’re doing some more advanced stuff and you’ve got a course. We did not experience this, but you also offer something called binaural beats. Can you explain what that is? Binaural beats are different from sound frequencies that go into the left and the right ear. The variance in these frequencies creates a bouncing effect and other healing qualities on the mind. The reason why I brought it in is that our minds are so engaged that they’re having even more and more trouble with the overstimulation. They’re having more and more trouble slowing down. It became this added tool that supports people and dropping in. If you have a strong mind and you feel like you can never turn off, the binaural beats for just that addition to support that. Tell me some of the experiences maybe some of your clients have had as far as medical diagnoses and what they saw improvement in. A lot of people will come with anxiety, that’s a big one. People are very anxious in the world. There’s a lot of fear and so they’ve just found more peace that they’ve been able to drop into their bodies and slowed down. They’re feeling a lot less anxiety. I do have some people with Parkinson disease and I don’t have anything, any claims I can make but they’re definitely taking this route. They want to get more into the alternative ways to work with the nervous system, the endocrine system that is affecting them. The Parkinson disease people are soothed. They find a lot of soothing benefit from the breathwork and they’re very appreciative of that. I actually get a lot of healthy people and they’re more dealing with emotional blocks or limiting beliefs where they’re really feeling very disenchanted or disengaged from life. They’re like, “What is the point of this rat race?” The breath is clearing away some of that negativity but it’s opening them up to seeing life in a more vibrant, vital way. They’re connecting to an inner voice within that’s guiding them and showing them that there’s a lot more amazingness going on in life. It’s enriching their life experience. Power Of Breathwork: It’s fascinating for us to discover what is this vessel that we’re operating and to learn about it in a more intimate fashion. When people come to Eliza Rose Kane, what do they get and what’s next for Eliza? When they come to me, they get to either come to a group class where they will experience the binaural beats. They can work with me one-on-one if they want to dive more into the specific issues that are going on with them. They can do private groups I find are great. People love to get together and do this with their friends. I will lead them through a playlist and I will guide them through our breathwork meditation session. We’ll dialogue about what’s going on and where they’re looking for particular health in their life. I’m going to be launching online, the binaural beats and the breathwork. You’ve only been able to experience it in person but starting in December, that’s going to go online. 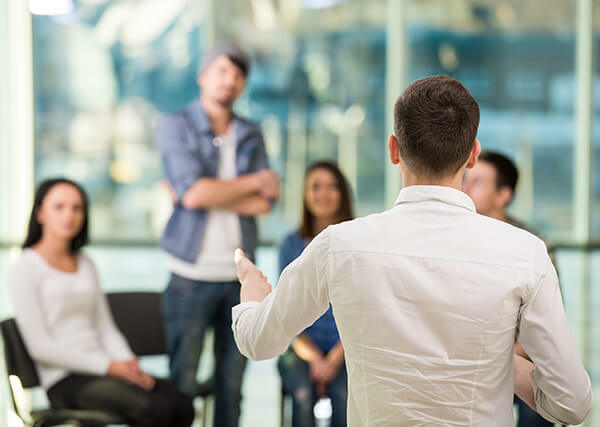 That’s going to be there to support people in finding discipline, consistency in their practice and being able to come to this more on a day-to-day basis. You can decide, this may be a little simplistic but you can try some psychiatric medication, some antidepressant. You can try some pharmaceutical for your blood pressure or you can try something for your diabetes. You can live the right lifestyle which includes the breathwork that ElizaRoseKane.com is mentioning and then with her new course as well. Check it out, ElizaRoseKane.com. Eliza, it was a pleasure speaking with you. Thank you, Jack. It was great to talk about this all. Thanks for sharing it with my audience. Another episode of the Healthy Heart Show in the books, we’ll see you next time.